John Scotti and The Canadian Drag Racing Hall Of Fame presents the Stock / Super Stock Shootout drag race to be held at Toronto Motorsports Park on June 16,17 & 18th 2017. 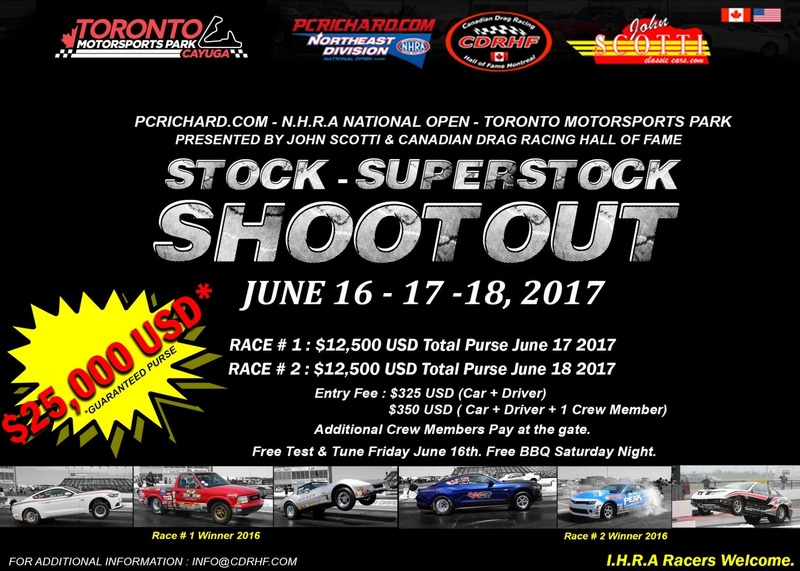 This event will be the Biggest drag race for Stock/Super Stock racers to be held in Canada with a total Cash Purse of $25,000 U.S. Dollars.